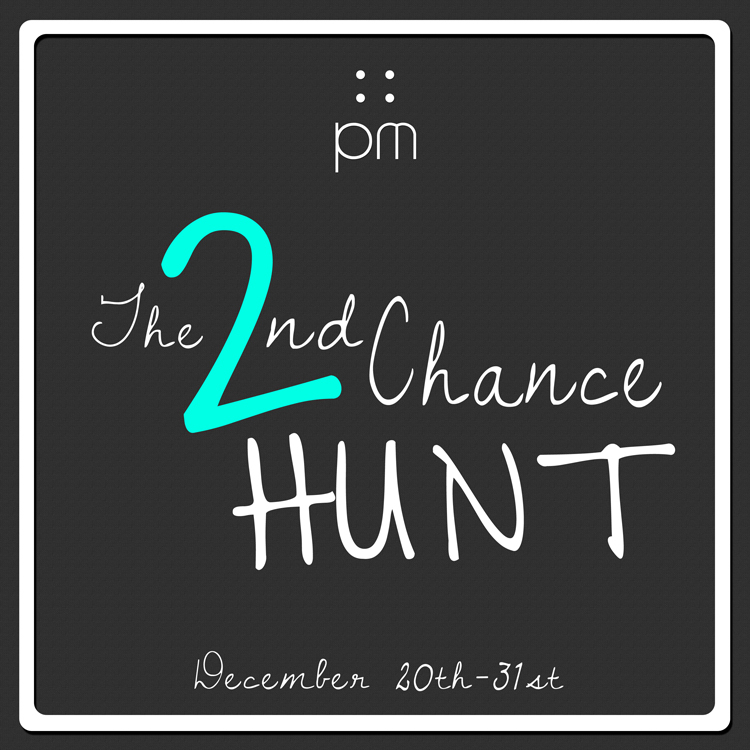 The 2nd Chance HUNT | ! *PurpleMoon Creations* ! The idea of this hunt came after receiving many, many requests about products that were given away in hunts or other events and after that they were never put on sale in the store. So maybe you already have some of these items and maybe you missed some others and this is your second (and last) chance to grab them! They are numbered from #1 to #17 but, of course, we don't say what contains what, part of the game is to wear, unpack and see what you got! The hunt is open to the public, no membership required so feel free to spread the word. One big PLEASE: keep the group chat to the minimum, if you need help ask other people in the store but let's try to avoid unnecessary interruptions in the group chat. This is so easy, that please take your time to enjoy walking around, you won't need any help at all. Hunt runs from Dec 20th to Dec 31st.